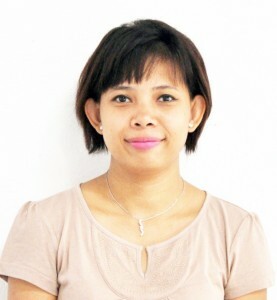 Ms. Meta Moeng was active in the Pan-Asian Exchange in Leadership Program, traveling extensively with international youth exchange projects (2007 to 2012). She also was the Secretary General of the alumni association for the Ship for Southeast Asian Youth Program from 2009 to 2012. Meta worked as Company Manager a production company, Dans La Phase Audio from 2010 to 2013, working closely with performing artists and production managements. In 2013, she was awarded a place in the Creative Leadership Fellowship, a program offered by Cambodian Living Arts. Meta is also a co-founding member of the Cambodian Arts Network (CAN), which is for arts community. Since 2013, Meta has worked as assistant to the internationally acclaimed Cambodian visual artist, Sopheap Pich, while also working as Community Projects Manager at SA SA BASSAC. There, she develops and manages relationships between artists and the wider community, through coordinating public programs both locally and internationally.